It was with 2011’s Delhi Belly that director Abhinay Deo impressed the audience and with his latest venture Blackmail, the viewers expect to witness the same magic. Starring Irrfan and Kirti Kulhari, the film is a quirky dark comedy that starts off when a simpleton husband discovers that his wife has been cheating on him and instead of confronting her, he decides to blackmail the lover. 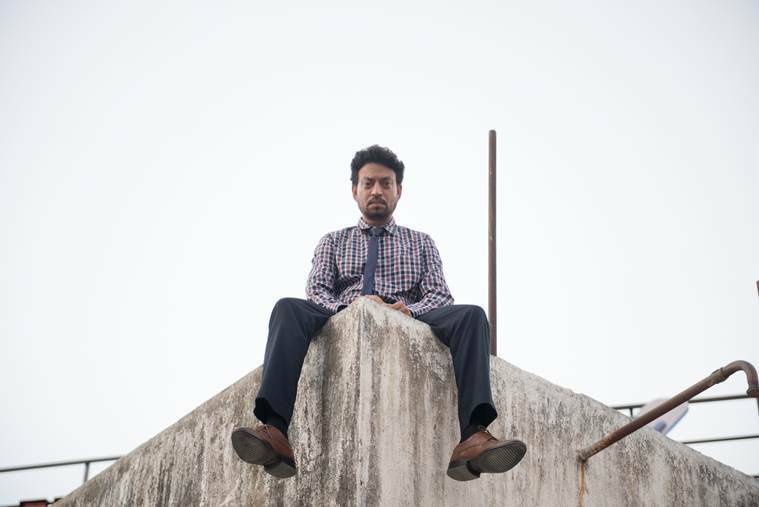 An actor like Irrfan doesn’t necessarily need iconic dialogues to give an electrifying performance and Deo made the maximum out of the opportunity as he cast Irrfan in a role of a man who doesn’t talk as much. “We know all our blockbusters thrive on incredible lines by the protagonist and I wanted to turn the tables. Of course, I had one of the best guys to do it with, Irrfan, who conveys so much through his eyes and through his expressions. So I was bold enough to take that risk of saying that my protagonist is going to speak the least in the entire scene,” Deo shared. Deo’s Delhi Belly is still remembered for its unique sense of comedy and from the looks of it, Blackmail shares a similar seed in terms of humour. But this kind of humour isn’t just reserved for the films, Deo believes that life is extremely funny if you look at it at like that. “Life surrounds us with irony and paradox on a daily basis. If you open a tabloid in the morning, there is everything, right from pure morbidity to incredible humour,” said Deo. It is this perspective of the director that can often be seen in his work. Blackmail’s music by Amit Trivedi has been getting a lot of attention, especially the rap number “Badla” by Amit and Divine. Abhinay shared that music isn’t a separate element for him but in fact a tool for taking the story forward. Deo said, “I believe that music is a very integral part of the film and it should always help take the story forward. And that’s exactly the brief that I gave Amit. I said ‘Amit you are going to be my partner in this.’” He further added, “My brief to Amit was I want music which is not classically Indian and not completely Western but something that helps express the angst, the energy, the irreverence and sometimes the humour out of life.” Even the songs by Guru Randhawa and Badshah were chosen in accordance with the film’s plot. Randhawa’s “Patola” was chosen to show how Irrfan & Kirti’s characters started their marital journey on a happy note. As the team of Blackmail is united in promoting the film, it goes without saying that Irrfan is in their thoughts at all times. His health has taken him out of the country for now but Deo has been in touch with him. “What we feel is prudent at the moment is that he spends time with his family and his treatment goes on in the best way possible,” Abhinay said.